If you are having difficulty viewing this message, click here to read it online. We hope you have had an enjoyable and relaxing summer season. It’s hard to believe that it’s almost over. 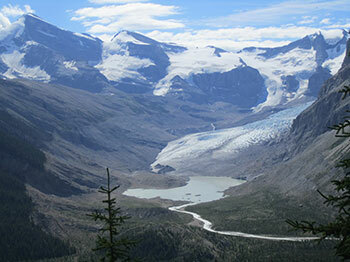 For my part, backpacking among amazing glaciers in British Columbia (many of which are significantly smaller than fifty years ago) invigorated me and reminded me of how fragile our planet is and why green chemistry is so important to sustainability. The Roundtable was attended by more than 150 people and engaged participants in a number of high level keynotes, thought-provoking panels and stimulating discussions on how to accelerate progress towards mainstreaming green chemistry. Background materials, slides and a summary of the Roundtable are available on the newly redesigned GC3 website. We want to thank our host Seventh Generation and sponsors HP Inc., and Beautycounter for their support of the Roundtable and the GC3. A highlight of the Roundtable was the GC3’s first Green and Bio-Based Chemistry Start-Up Event which brought together 10 innovative start-up companies with investors, retailers, consumer product companies, and chemical manufacturers to explore partnerships and funding and to discuss ways to build the green chemistry innovation ecosystem. As a result of this successful event, the GC3 will be forming a Green and Bio-Based Chemistry Startup Network this fall with several additional events and resources. As we roll out projects for the fall, we will be providing regular updates through our newsletter and GC3 Member Update Calls. Of course, if you haven’t joined yet, we invite you to join the GC3 so that your company can be part of these cutting edge projects. Finally, we are happy to announce our 2017 Innovators Roundtable, hosted by Steelcase in Grand Rapids, MI, from April 25-27, 2017. Steelcase has been one of the GC3’s strongest supporters over the years and we appreciate their leadership in green chemistry. We hope you enjoy the waning days of summer and look forward to working together. The GC3 Innovators Roundtable is our major annual event where industry leaders present new business strategies, government leaders present emerging policy issues, and members network to discuss green chemistry challenges and solutions and design strategic projects for the coming year. The GC3 Roundtable is a unique opportunity for businesses to communicate across supply chains and sectors. Attendees focus on developing practical solutions in a collegial forum. Interested in sponsoring? Contact Jennifer Landry for sponsorship opportunities. We need your feedback! Please take five minutes to fill out this survey. All participants will be entered into a drawing to win a $50 Amazon gift card. The GC3 in collaboration with the ACS Green Chemistry Institute® (ACS GCI) created the Green Chemistry Innovation Portal in 2015 with the goal of providing a platform to enable communication and networking in the green chemistry and engineering community. The Portal has been up and running for one year and we are assessing its usefulness and how we it can be improved. Whether you have used the Portal or not, please take a moment to fill out this 5 minute survey—your participation will help us better serve the needs of the green chemistry community. The GC3 is pleased to be a media partner in the second annual Guardian Green Chemistry Conference, taking place in New York City on Wednesday, November 2, 2016. Supported by GC3 member SC Johnson, the Guardian Green Chemistry Conference will explore the green chemistry advances that are improving our world and the innovative partnerships and funding tools that are making them possible. Experts from industry, academia and nonprofits will discuss the current state of the industry and share ideas for increasing innovation and widespread adoption. The Guardian is offering GC3 members a 50% discount on registration for the event. Use discount code GC3 when registering. For more information on the work of the GC3, email us or call 978-934-2997.
a research center at the University of Massachusetts Lowell.